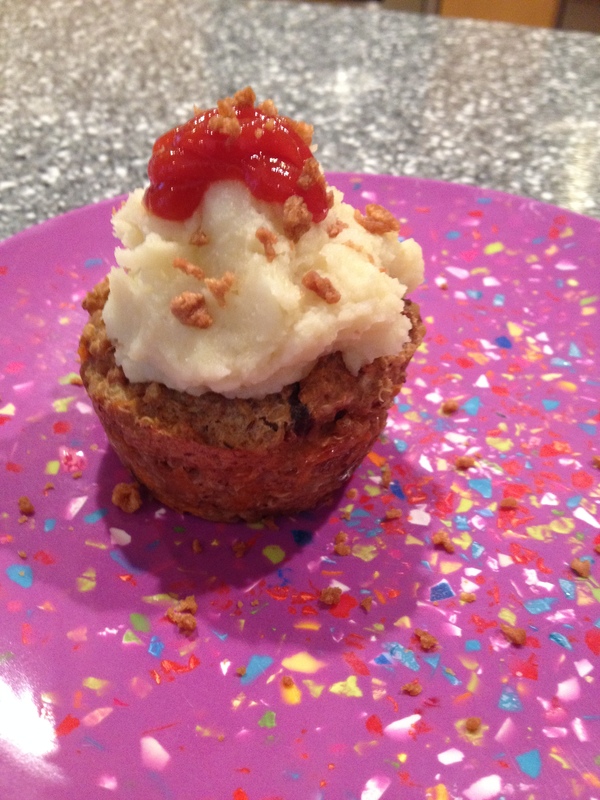 Okay, so I remember meatloaf cupcakes being a trend a few years ago or so, but I did not have a vegan food blog back then. Now that I do, this has been on my mental to-do recipe list for awhile, and I finally did it. These are definitely to be filed under the kid-friendly category. It kind of made me feel like a kid again! 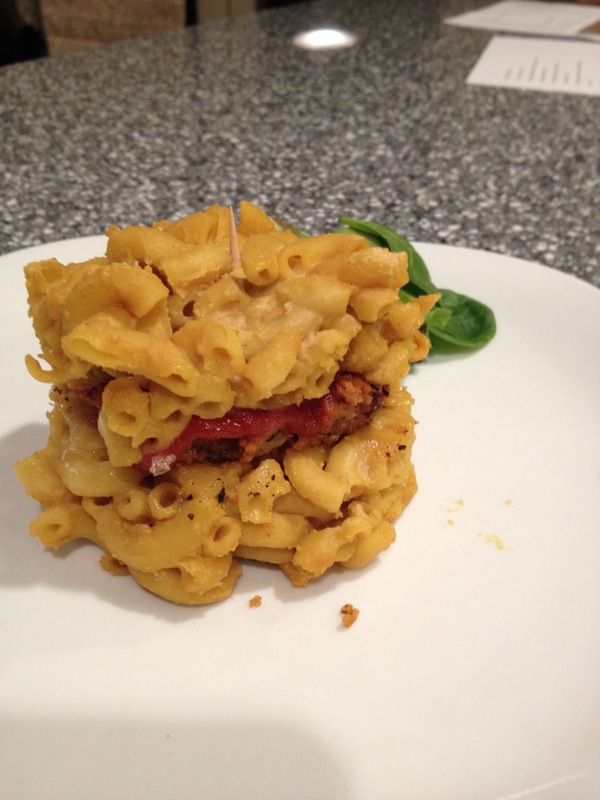 For another vegan kid friendly recipe, see here. The cupcakes feature lots of healthy ingredients like carrots and onions, pinto beans, raisins, quinoa, and pinto beans, among other things. To top it off, there is a mashed potato “frosting” with nutritional yeast and garlic powder. I added some ketchup on top instead of a cherry, and vegan bac’uns as sprinkles. Cook quinoa before preparing the cupcake loaves. When it’s cooked, let sit to cool while you prepare the rest. In a food processor, put the gimme lean faux beef, pinto beans, raisins, chopped onions, almond milk, Worcestershire sauce, ketchup, mustard, oregano, and salt in pepper and pulse until as combined as possible. If your food processor is like mine, you’ll need a rubber spatula to push it around to get it mixed together well and scraped down the sides. Add the flax eggs to the mix and pulse until combined. Transfer this mixture into a large bowl. Add quinoa and carrots, fold in with a spoon or rubber spatula until dispersed throughout. Spray cupcake tray with oil and place about 1/2 cup of this loaf mixture into each cup. I steamed the potatoes in a steamer pot, but you could also boil them. I just put water in the bottom pot and the potatoes in the basket, kept on high heat at first and eventually turned down to medium. It took about 20 minutes for them to be ready to be mashed. You know when a fork can easily go through them and they are soft. Pour the water out of the bottom of the steamer pot, and place the potatoes into it. Add Earth Balance, Almond milk, nutritional yeast, salt, and garlic powder, and mash.